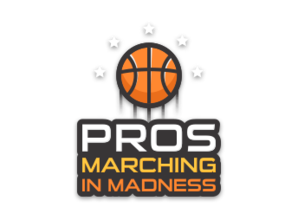 SportsBlogs announced their new “Pros Marching In Madness” hub made up of blogs written by professional athlete bloggers focused on created original social content about the one billion dollar NCAA March Madness Division I men’s basketball tournament. This innovative sports technology concept was launched to showcase current and former pro player’s real-time opinions, performance insights and breakdown of coaching strategies regarding all things Big Dance. The Sports Techie community blog is also part of the SportsBlog.com team and we are excited to share the news today about this new tech product with our readers and followers around the U.S. and world. SportsBlog Debuts Pros March Madness Coverage – Sports Techie blog. The fastest growing website on the web for superfans, pro and amateur athletes, and sports media influencers is because SportsBlog averages 30 million page views a month. Did you know 1 out of 10 males (between the ages of 18-34) in the US visited their homepage or another page on a daily basis according to comScore. The platform is fast becoming a digital industry sport standard by streamlining 20,000 fan and niche sites to enhance the fan experience. Other compelling reasons all these bloggers use SportsBlog is due to their generous revenue-share program and sponsor driven ads. Their proven executive team based in New York decided to help deliver experts’ personal thoughts concerning March Madness, tourney predictions and NCAA student-athlete lifestyle stories posted on a customized multimedia platform by trusted athletes in the know. Getting sports information straight from the source is what dedicated and casual fans prefer so pros such as one of my sporting role models as a youth, Seattle Supersonics Spencer Haywood, and former University of North Carolina legend Sam Perkins, in addition to NFL star player Justin Forsett of the Baltimore Ravens and Charlie Villanueva of the Dallas Mavericks, have joined Tamika Catchings of the Indiana Fever and Stefanie Dolson of the Washington Mystics to generate exclusive daily content surrounding Match Madness that fans can view online or via mobile devices like smartphones using the SportsBlog app. The live site is updated frequently, visit this link. The new SportsBlog Mobile Editor allows blogs to be posted from mobile phones and tablets. Use the software product to record videos, upload photos from the free USA Today and Getty sports images library from wherever you are on the go, at anytime. The growing list of Pro Marching In Madness bloggers features NBA legends Dale Ellis, Jim McIlvaine and Jerrod Mustaf; NBA player Courtney Lee of the Memphis Grizzlies; WNBA player Tanisha Wright of the New York Liberty; NFL players James Jones of the Oakland Raiders and Chimdi Chekwa of the New England Patriots; and NFL Legends Tim Watson, James Cannida and Tavon Mason. Over the past business quarter, SportsBlog was proactive in its pursuit to partner with top brands and online destinations. The National Basketball Players Association (NBPA) launched a player app and hosted several fan friendly Google Hangouts with engaging people like Basketball Hall of Famer Nancy Lieberman, WNBA stars Cappie Pondexter and Catchings, UNC, LA Lakers and Sonics legend Sam Perkins and others. Current San Francisco 49ers wide receiver Torrey Smith caught the Internet by storm with his recent blog regarding the news he was leaving the Ravens as a free agent, setting a one-day traffic record for SportsBlog as 600,000 unique visitors clicked to read his trending story. SportsBlog is the world’s fastest growing blogging destination for the sports obsessed. The site features authoritative news and fresh commentary from popular sports writers along with more than 20,000 blogs by superstars, superfans and everyone in between. It’s also the platform of choice for many professional athletes – more of them blog on SportsBlog.com than on any other site. 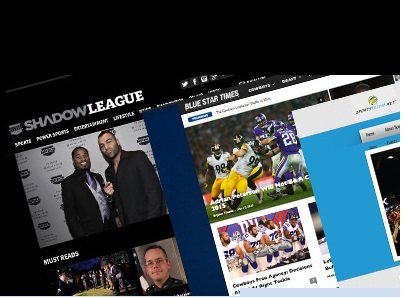 The SportsBlog Media Group is made up of some of the most popular sports sites online, including LakersNation, TheShadowLeague, Sports Techie and DodgersNation.
. The SportsBlog Media Group is made up of some of the most popular sports sites online, including LakersNation, TheShadowLeague, Sports Techie and DodgersNation. Sports Techie, there are lots of blog writers out there so banding together a group of established pros on the SportsBlog format to discuss March Madness happenings should fare well with fans that want fresh content all tournament long. Enter to win the SportsBlog leaderboard by Movo Wave activity and fitness tracker giveaway prize for their top five bloggers, play the new Baseball Blogging Classic contest for a chance to win $1,000 credit from SportsMemorabilia.com, and visit the SportsBlog Facebook page for an opportunity to win a free pair of Under Armour Curry One basketball shoes. 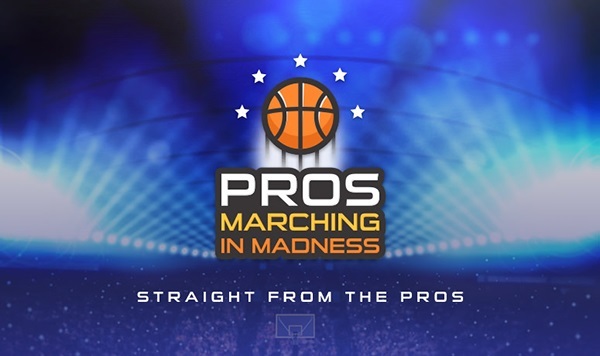 Be sure to share the Pros Marching In Madness content and leave comments. While you are at it, give a #SportsTechie shoutout to the online squad of 20,000 fellow SportsBlog contributors.